In some apartment buildings and homes, not equipped with a door bell, it may be hard to hear someone knocking on the front door. The circuit below provides a means to activate a loud beeping sound inside, whenever someone knocks on the door from the outside. The circuit is powered by a 9v battery, which should provide years of service. An on/off switch allows the device to be turned off if desired. 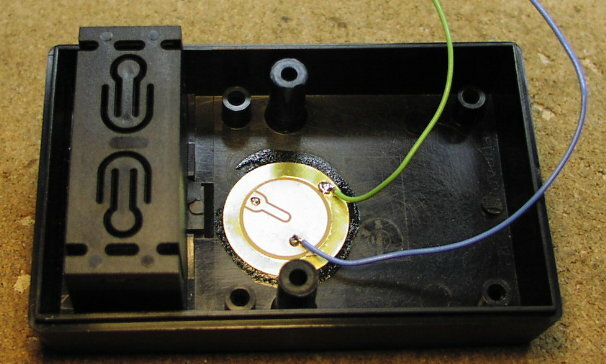 It is suggested that the circuit be housed in a plastic box with a 9v battery holder. 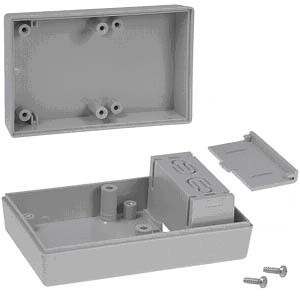 A Serpac box from Mouser, part number 635-211-I-G is just right for this application. It is about 4 inches long and 2.6 inches wide. It has a nice compartment for a 9v battery. 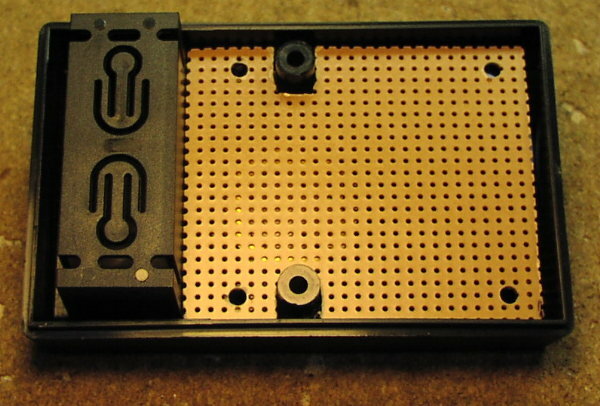 The door knock is detected with a piezoelectric wafer, glued to the inside bottom of the box, as shown below. The resistor R5 determines the knock sound sensitivity. The value shown should work in most cases. The box could be hard mounted to the door or suspended at about the middle of the door, by a string from the top of the door in such a way that the box rests against the door. Whenever a knock occurs, the dual comparator circuit will activate the beeper for a few seconds, and then turn off. You can use just about any type of beeping device you wish. Some people prefer the piezoelectric beepers with their higher frequency, while others may like the lower frequency electromechanical buzzers.